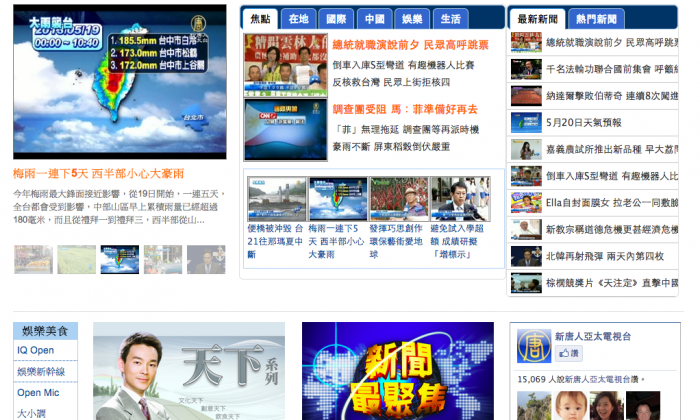 The renewal of a satellite contract between an independent TV station and Taiwan’s largest telecommunications company is in the public eye in Taiwan, with increasingly vocal support from viewers and politicians who wish to see press freedom in mainland China. U.S.-based New Tang Dynasty (NTD) Television has been transmitting news on the Chinese regime’s corruption and human rights issues to mainland viewers via Taiwan’s Chungwha Telecom using its S-2 satellite for years. The two-year contract is due for renewal in August, but Chungwha has remained silent on whether they intend to renew it, leading many to believe that business interests in the mainland, or the Chinese Communist Party, are holding sway. NTD viewers in Taiwan are keen to see the contract renewed. A regular watcher called Kevin Chui left a remark on the company’s website saying that people want to know the truth, even if Chungwha does not wish to discuss it. An online campaign to collect signatures was also initiated. Taiwanese are concerned that an independent television station is at risk of being effectively forced off the air due to pressure from Beijing.